Congratulations to Bridge the Gap 2, the GameSalad Game of the Month June! We are excited to highlight GameSalad developer Ash Jackson for his second Game of the Month win. He was first highlighted for his February 2012 Game of the Month win with the platformer, SZC: Beyond Dead. 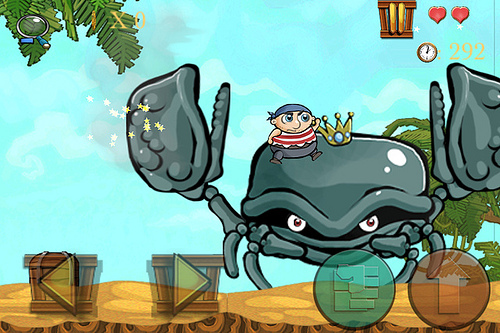 Bridge the Gap 2 is a fun and challenging pirate themed puzzle game. 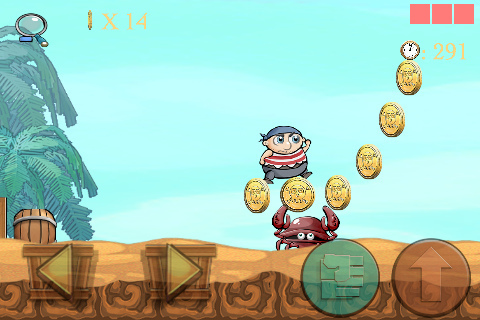 Perfectly highlighting Jackson’s superior visual art skills, the game is a satisfying thematic romp as you utilize physics based tools to bridge trials and tribulations on a treasure hunting adventure. In order to highlight Jackson’s newest game, we sat down with him to learn a little more about his inspirations and the making of Bridge the Gap 2. GameSalad: Hi Ash! Congrats on winning again! Tell us about Bridge the Gap 2. Jackson: Bridge The Gap 2 is, or at least is trying to be, a puzzle game for all skill levels. Most people can figure a way to get their Pirates to the goal, but it takes more skill to get all the gold along the way. Jackson: Games like Lemmings and Pikmin were part of the inspiration. Then, of course, my love for Pirates. GameSalad: Obviously, we really enjoyed playing the game. What do you feel makes Bridge the Gap 2 a such a unique game play experience? In your opinion what is it that makes it stand out and be so enjoyable? Jackson: I think Bridge the Gap 2 is interesting because there is a lot of freedom in the way you can build your bridges. In making the game, I figured out what I thought were the best ways to build bridges for each and every level. But then I’ll watch others play the game and they might come up with a totally different design to get their pirates home. And either way it still works just as well. 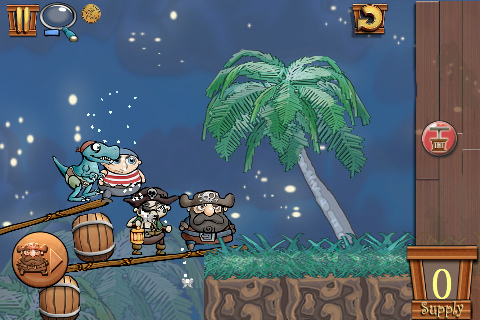 I also hope people will enjoy the different voices each of the Pirates have. GameSalad: After SZC: Beyond Dead, we loved finding out about your background in comic arts. When you are developing games, do you work independently or with a team? Jackson: For the most part I’m on my own, but I have partnered with the very talented Dave Dexter who as supplied the Music for both BeyondDead and Bridge the Gap 2, and is currently working on tracks for Monster Robot’s next titles. GameSalad: Speaking of, can you tell us about what is next on your horizon? What do you currently have in development? GameSalad: Thanks again, Ash and congratulations on another great game! 9 different Pirates with funny voices and useful skills! In-game clock; if you play at night, it will be night on the islands,—if you play during the day, it will be day on the islands! 10 Game Center achievements,—catch different bugs at different times of day! A fantastic soundtrack: each island has a unique theme! Buy it today on the iTunes App Store for only 99 cents.